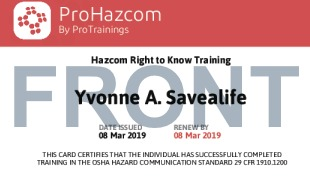 OSHA's Hazard Communication Standard, 29 CFR 1910.1200, revised in the year 2012, provides people the right-to-know the hazards and identities of the hazardous chemicals people are exposed to in the workplace. Employees must be informed of any operations in their work area where hazardous chemicals are present. 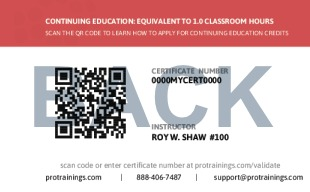 ProHazcom training teaches how to read and understand hazard labels and safety data sheets.